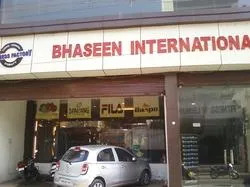 Bhaseen Sports Pvt Ltd is incepted in the year August 1948 and Established in 1991, by our mentor, Mr. Baldev Raj Bhaseen. We offer our range of products under the brand name of Baspo. We are one of the leading manufacturers, exporters and importers of a wide range of Fitness and Gym Equipments. Our comprehensive range of these products includes Weight Lifting Equipment, Free Weight Benches, Table Tennis, PT Equipment, Skipping Rope, Croquet Set, Play Ground Equipment, Children Play Equipment, Sports Nets, Weight Scales, Gym Equipment Strength Stations, Multi Gyms, Imported Single Stations & Benches etc. In the year 1997, we emerged as importers to offer the equipments that are specified by our clients. 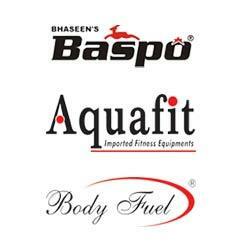 We import these equipments under the brand name of Aquafit and Body Fuel. In 2008, we started a showroom with the name, Fitness N Leisure, at Jalandhar. We are supported with a spacious infrastructure facility that is equipped with advanced machinery and tools. Our range is manufactured using superior quality materials and according to the specifications of the clients. We, Bhaseen Sports Pvt Ltd, have a team of quality testers who constantly check the quality of our range of products on various parameters to offer defect free range to our clients. Under the guidance of our mentor, Mr. Navneet Bhaseen, we achieved a strong foothold in the market for ourselves. His support and ability to understand the demands of clients helped us in offering an unmatched range to our clients within the stipulated time frame. Backed by a team of professionals and well experienced people, we have been able to maintain our position as one of the leading manufacturer and exporter of premium quality sports and fitness equipments. Since past 61 years, these people have helped us to excel during all good and bad times in the industry. People working with us are dedicated and well versed and are ready to take on all the pains to meet specific demands of our clients and offer them with products of satisfaction. We are a client centric organization, engaged in offering a wide range of Equipments to our clients at competitive prices in the industry. We understand the requirement of our valuable clients and offer them these equipments as per their specifications. In order to meet the bulk demand of our clients within the committed time frame, we have developed a wide supply chain network across the nation. We also take into account the suggestions offered by our clients and try to incorporate the same in our range. 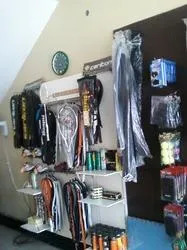 We offer our clients with premium quality and innovative range of sports and fitness equipments. Our products are developed industrially and quality tested as per international codes of quality.